Gatch create inspiring, chic and luxurious interior design concepts. As one of the leading studios in London, we excel at offering our clients a bespoke and highly personal design service for your home, apartment, country cottage or your entire property portfolio. Whether you prefer classical or contemporary styles, we can work to your budget, without compromise. 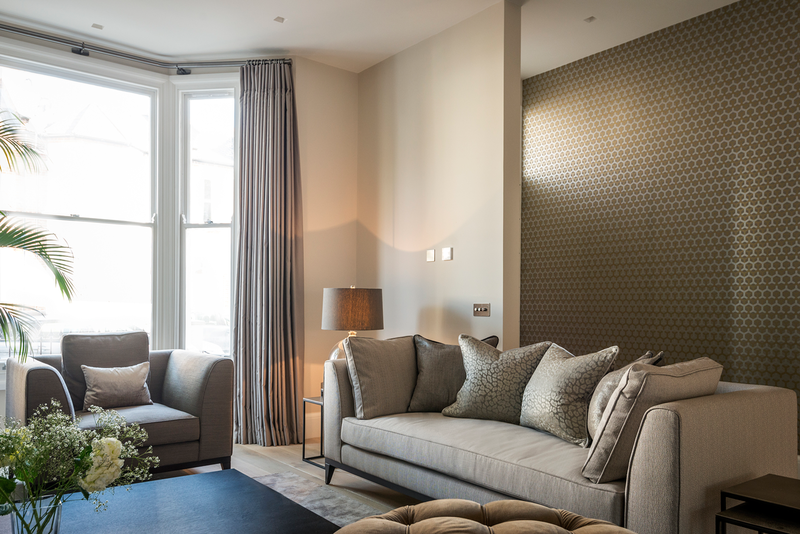 Using luxuriant paint tones or sumptuous wallpapers, matching together lavish fabrics and rich textures, or adding in that perfect piece of furniture, we will help you make the most of your room or property portfolio. We interpret and achieve your ideas by working with you to your brief because we are passionate about your design. Our clients include high net worth individuals, developers and hoteliers, and we only work with trusted tradesmen and high-quality suppliers. Gatch provides bespoke, personalised and professional interior design and decoration solutions across the London area. My husband and I used the services of Gatch for a second time when we purchased our new house. Despite our growing list of family demands Lynn turned the house into a home, she answered our brief completely. Our new home is elegant and functional, thank you so much!